I was searching for The introduction to the science of the judgments of the stars by Sahl Ibn Bishr, and found the Holden translation in the linked site (most of you are probably fairly acquainted with it). Proceeding to read the comment, its author was wondering about the difference in the house system in use between ancient Greek horoscopes and medieval Europe ones. Why was this issue not tackled by the Greeks? Because they lacked numerical representation that would enable them to perform the necessary calculations. If all they had were “Roman numerals”, consider the problem of dividing MCCCXLVIII by XXIII (848 / 23 = 36.87) using such a crude symbol set. So far, we have retrieved knowledge concerning the science of mathematics, with evidence that goes back to Sumerians, Babylonians, Egyptians and Greeks (in chronological order in relation to historical relics and sources). I will skip the Indians and Chinese that themselves also did well with mathematics – besides their also “crude” symbols – as they are not known to have exert significant influence to the Greek sciences. 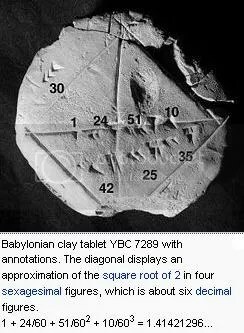 Babylonians could solve quadratic and cubic equations, calculate exponents and even had a first form of Fourier analysis (roughly: one can break down certain complex functions into simpler known trigonometric functions). I think it is safe to conclude they could also multiply and divide. And it is truly safe to conclude that, as proof that humanity knew multiplication and division dates as far back as the Sumerians who preceded the Babylonians. Sumerians could solve quadratic and cubic equations, too as they were able to find volumes and areas of basic geometric shapes. They used (mainly) cuneiform script and John, this is even “cruder” than what poor Greeks had to use. Next we have the Egyptians, from whom little is left but there too we know they could do linear equations and fractions, composite and prime numbers, so I think it is yet again rather safe to assume they also could divide and multiply – fractions are in essence a division. They used hieroglyphic or hieratic symbols but surprisingly John, they managed coping with fractions and even astronomical measurements. All those civilizations interacted, knowledge was exported and imported through the ages and the countries and I must tell you John, I think Babylonians seem a tad better than Egyptians (in mathematics) as they had more accurate results in their calculations. I am sure you can attribute it to Egyptians using an even harder (cruder) to depict numerical system but if I may say so, we have not found as many relics from Egyptians as we have from Babylonians so it is unwise to be harsh about their level of expertise. Last in chronology (seemingly – judging by the very little that is saved) but not least in value, came the Greek. Like you wrote John, they had that “crude” system that should have hindered them. Yet, Greeks mastered the sciences and division is practically exactly what they did, though very little is saved or found as direct originals (here we should thank mostly the Arabs that copied and saved some of the vast knowledge of ancient Greeks). 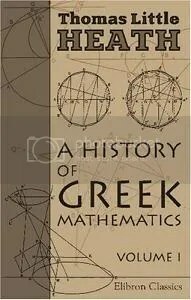 Greek mathematics was much more sophisticated than the mathematics that had been developed by earlier cultures. All surviving records of pre-Greek mathematics show the use of inductive reasoning, that is, repeated observations used to establish rules of thumb. Greek mathematicians, by contrast, used deductive reasoning. This level of mathematical analysis attained by Archimedes, Euclid and others is far in advance of anything recorded by the Babylonians or Egyptians. It seems Greeks did some good job with their “crude” symbols: they calculated (with the best accuracy than anybody else for centuries) the number π, conics and their sections, spherical geometry, Infinite Series, gave us the Euclidean geometry, and they also proved numerous mathematical concepts, from the Pythagorean theorem to the existence of Irrational Numbers and gave the precursors and foundations of most modern mathematics, including integrals and calculus, and Number Theory. You do not have to take my word for it, luckily I can refer you to A manual of Greek mathematics by T.L.Heath, where you can see that apparently Greeks could divide and furthermore their system is alike what we still use today. Using whole signs had nothing to do with their difficulty to do simple divisions like the one you mention. Division was practically every ancient Greek scientist’s middle name! And I believe one can hardly conceptualize any of the other 3 great civilizations having any problem with division that would hindered them into constructing new house systems. A different reason seems far more likely to existed than incompetence in simple calculations. Many have already published opinions on the matter if you want to find out more John. The subject is still open to educated opinions and strokes of scientifically or historically founded inspiration. We know that Eudoxus studied the classical problem of the duplication of the cube. Eratosthenes, who wrote a history of the problem, says that Eudoxus solved the problem by means of curved lines. Fermat was not the first mathematician so moved to write in his own marginal notes to Diophantus; the Byzantine scholar John Chortasmenos (14th/15th C.) had written “Thy soul, Diophantus, be with Satan because of the difficulty of your theorems” next to the same problem. Fermat was not the first mathematician so moved to write: in his own marginal notes (scholia – σχόλια) to Diophantus on the same problem (II.8), the Byzantine mathematician Maximus Planudes had written “Thy soul, Diophantus, be with Satan because of the difficulty of your other theorems, and of this one in particular”. In Measurement of a Circle, Archimedes gives the value of the square root of 3 as lying between 265⁄153 (approximately 1.7320261) and 1351⁄780 (approximately 1.7320512). Do you still believe the ancient Greeks used whole house system because they had troubles with dividing numbers? PS. By the way John, I think you miscalculated your Roman numbers (MCCCXLVIII = 1348; not 848) and I have a feeling that you learned both your history and your maths in Oregon’s “kidipede” (definitely not a recommended site, therefore no link).